Voltron: Legendary Defender’s fourth season is weird. A mere six episodes long (after a normal-length season was split to create the show’s third and fourth), at times it feels like it’s been cobbled together out of a season we never got to see the rest of. Yet despite that, it delivers some hugely satisfying stories fans have been itching to see since the show began. The third season of Voltron was all about adapting to change. On the side of the heroes, Shiro’s absence led to Keith becoming the pilot of the Black Lion and the leader of the Paladins, with Lance taking his place in the Red Lion’s cockpit and Allura finally stepping up to Paladin status to become the Blue Lion’s pilot. On the villains’ side, you had the ascendancy of Prince Lotor and his generals, a fascinating mirror team to the Paladins that played with some more morally complex concepts that his brute of a father, Zarkon, eschewed. Even when the show surprisingly brought Shiro back midway through the season, it rolled with its new status quo, forcing the Paladins to deal with finding a new hole in their team for a beloved friend, one they’d all risen up for to help fill the gaps left behind when he disappeared. It felt like that this was a huge, permanent change in the show’s makeup and direction, one that was pushing its characters in new and exciting directions. Season four is mostly about undoing all of that change, to varying degrees of success. The first episode of the season—by far the weakest of the new run—serves to re-upend the Paladins’ status quo, and in the process, makes you feel like you accidentally skipped a few episodes of story in between seasons three and four. The audience is immediately dropped into a plotline where Keith, shirking his Paladin duties to train as a slick techno-spy/assassin alongside the sneaky Blades of Marmora, eventually decides to leaves the team, allowing Shiro—despite his struggle and eventual failure to re-establish a bond with the Black Lion upon his return last season—to quickly and conveniently re-take his place as the Black Lion pilot and as leader of the team. Considering the past two seasons have been about Keith learning to accept his duties and slowly becoming a leader, the speed at which the show moves him in this new direction is as alarming as it is clunky. Showrunners Joaquim Dos Santos and Lauren Montgomery recently said that Shiro’s rapid return to the show was a mandate forced upon them by Dreamworks, and it’s keenly felt in this season’s opening. Keith’s distancing from the core group to become a Blade does set up some interesting ideas as the Voltron Force’s burgeoning coalition of rebels continues to grow—something that becomes hugely important over the course of the season. 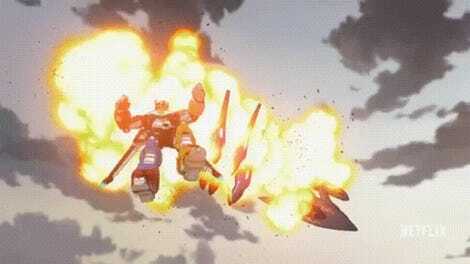 But its hasty resolution in the premiere feels like it came out of nowhere in the worst way. Another disappointment—although dealt with more slowly—is the Galra Empire’s tearing down of Lotor to make way for Zarkon to return as the Emperor and primary villain of the show. Zarkon and Haggar are largely still as boring and as under-utilized as they were before Lotor arrived on the scene; the only real difference is that Zarkon now has a full suit of armor, so he sounds a bit more robotic when he barks the occasional order. Upending Lotor’s position to make him an impotent threat and eventually establishing him as an enemy of the state so shortly after his debut feels like a squandered opportunity. Even if it leads to the season’s intriguing cliffhanger—Lotor begrudgingly choosing to ally with the Voltron Coalition to defeat his father—Lotor’s sudden change of fate and seeming face turn to the good guys’ side feels wildly unearned, another storyline the show wasn’t given enough time to tell. And yet, despite those grievances, there is still a ton to love in Legendary Defender’s latest outings. The humor, which felt mostly absent from a rather serious season three, is back in full force—especially with the laugh-a-minute fourth episode, revolving around Coran turning the Paladins into celebrities to drive recruitment for the Voltron Coalition. It’s a loud, hilarious mix of Power Rangers/Super Sentai references, showbiz ribbings, and over-the-top anime parodies that manages to be both crucial to the denouement of the season and a delightful break from the incoming conflict between the Galra and the Voltron Force. On the opposite side of the emotional spectrum, the second episode finally resolves a hanging plot thread from Pidge’s backstory, reconnecting her with the quest to find her missing brother and father. It makes for some of the most sumptuously delivered, heartrendingly emotional sequences in the show’s entire run, and gives some much-needed time for the Green Paladin to shine. The shortened season makes the fact these two wildly different episodes are so close to each other feel like some severe tonal whiplash, but outside of that context they’re hands down two of the best individual episodes the series has ever done. And somehow the two-part finale is even better than that, as the bolstered Coalition finally decides to stand together and make a bold move against the Galra empire, striking from a hidden base on multiple fronts to liberate a vaste swath of Imperial territory from Zarkon’s grasp. There are some amazing action sequences because of it—both from Voltron itself and from the ships of the Coalition’s ragtag fleet—that wouldn’t feel out of place in a Star Wars movie. 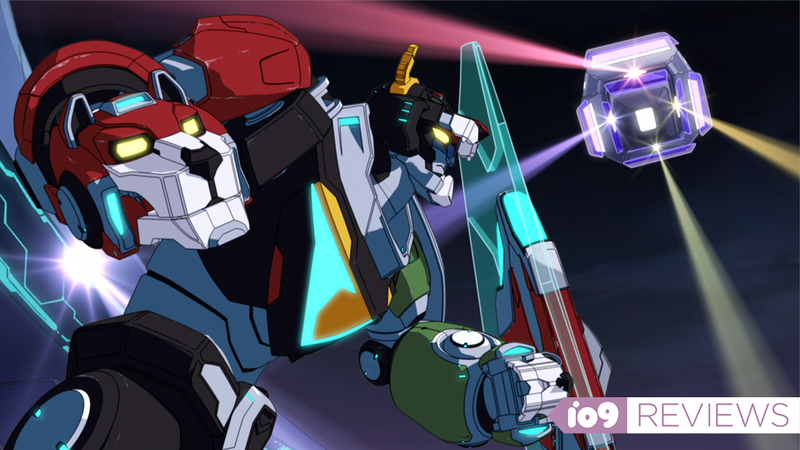 It’s the space-action epic you’ve been dying to see from the moment Voltron first formed, and the epic battle that unfolds feels earned, a worthy culmination of the hard work our heroes have been building toward since the very beginning of the show. If we can expect more like this in the future as Team Voltron moves from victory to victory, then fans are in for a serious treat. There’s so much to love here that it’s such a shame Legendary Defender’s fourth season is at times as disappointingly frustrating as it is remarkably good. Its truncated nature makes its tonal swings feel wilder than they should be—and even at its best, it never quite escapes the feeling that some corporate demand from up on high led to things being chopped up and mixed up in ways they were never intended to be. That said, its problems rarely feel like a fault with the actual creative arc of the show, because when it works, it works, bringing a grand scale to the show that it’s spent the past three seasons slowly building while still finding ways to endlessly upend its status quo in new and promising ways. Whatever form the next season of the show takes, a groundwork has been laid here for some very interesting storylines—ones that are hopefully less hampered by the delivery of the show itself.